WOODSTOCK, Ga. – A Dawson County Sheriff’s Office sergeant was arrested in Cherokee County Sunday and charged with assaulting his wife over the weekend. 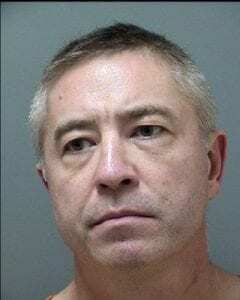 Richard Anthony, 45, of Woodstock works at the Dawson County Detention Center. According to the incident report, a family member contacted the Cherokee County Sheriff’s Office to report Anthony had physically attacked his wife Saturday, leaving visible injuries. The report alleged the wife got into a verbal confrontation with her husband which escalated and turned physical when he proceeded to grab her by her right arm and place her into an arm bar, forcing her to the ground and causing pain, bruising and swelling in her forearm. The wife further alleged that the marriage has been up and down over the past several months and that they argue at least once a week and it normally turns physical/ violent. During the investigation it was determined that the female was a victim of Family Violence Battery and there was probable cause for the arrest. CID was contacted and the investigation was turned over to them.